Don Modglin began his pastoral ministry in 1997 at Calvary Chapel South Bay. Only years earlier, he was living a life of destruction, filled with drugs & drinking it up. Desperate, desolate and feeling destitute, Don was lost and hopeless, BUT GOD intervened. Don began to question God, searching for forgiveness, hope and peace. He found it when he heard that Jesus Christ was willing to save him and forgive him of all his sins at a church in San Diego, California – Horizon Christian Fellowship. That same night at Horizon, Don asked Jesus to forgive him and to enter into his heart. It was that night that Don knew he was forgiven, and had a new start. He also knew Jesus wanted to work in him and through him, in ministry. Shortly after Don’s salvation, he began studying the Scriptures, attending Bible College and Bible Institute courses. His family and friends knew and saw the miraculous changes. With this new zeal, he began teaching a home Bible study, teaching at a convalescent hospital, and sharing his faith on the streets with strangers. 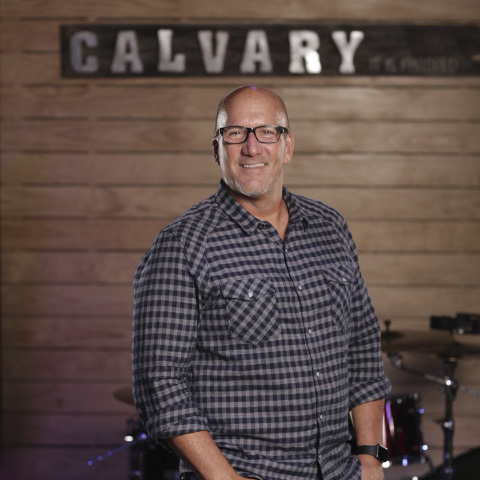 In 1997 Pastor Steve Mays of Calvary Chapel South Bay (today a congregation of 8,500 adults) in Torrance, California asked Don to join his staff as an intern pastor. Within time Don became the Assistant Pastor at Calvary Chapel South Bay and as administrator of the staff and general ministries. He taught frequently at the Bible College, the weekly Men’s Ministry, and frequently taught during services at Calvary Chapel South Bay for Pastor Mays. During this time Don has always loved reaching out and sharing God’s love for others. In addition to his travels to other countries for short term missions’ work, Don also served as Chaplain for Los Angeles Sheriff’s Department and CHP, and developed a non-profit corporation – the Community Crisis Hotline, in Torrance, California where he served as Executive Director. Don’s education at Bible College, SALT Institute, School of Ministry, School of Evangelism and Critical Incident Stress Management training (CISM), has further equipped him for the call of God. Whether teaching, preaching or writing, God has gifted Pastor Don with the ability to apply Biblical principles to current events and trends, in a way that is relevant and easily understood by people of all ages. Don is married to his lovely wife Arlinda, and has two sons.